Looking for a filling, cheap and warm lunch? 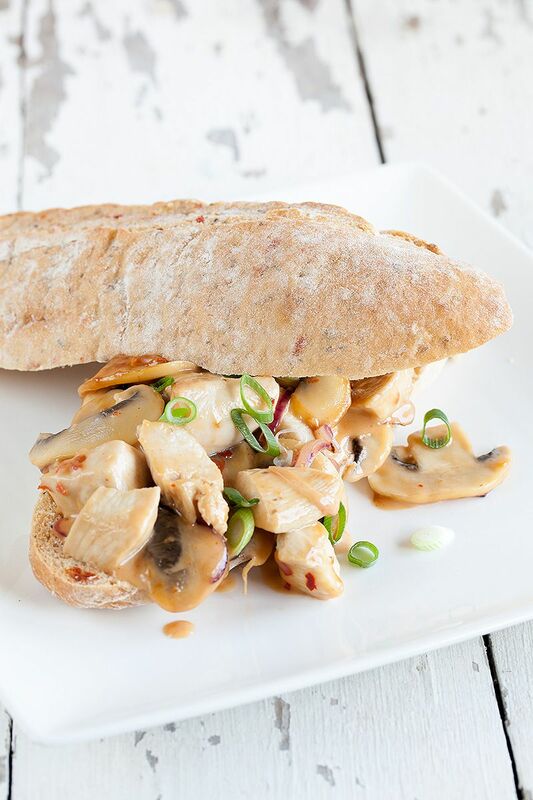 Try our chicken and mushroom sandwich! Ready in 15 minutes. PEEL the red onion and slice it into half rings. 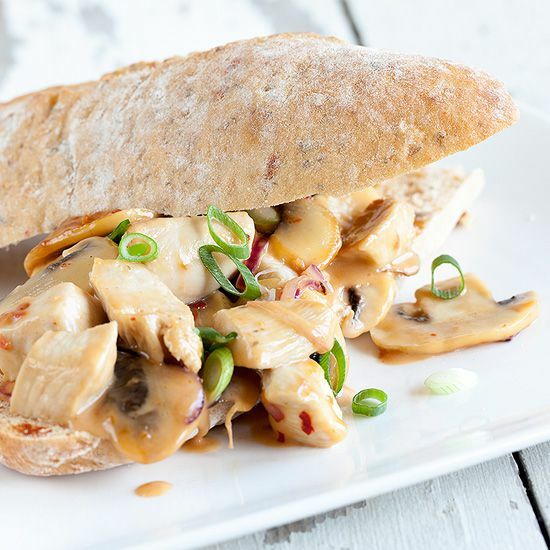 CLEAN the mushrooms, you can use a brush or a paper kitchen towel to remove any dirt. 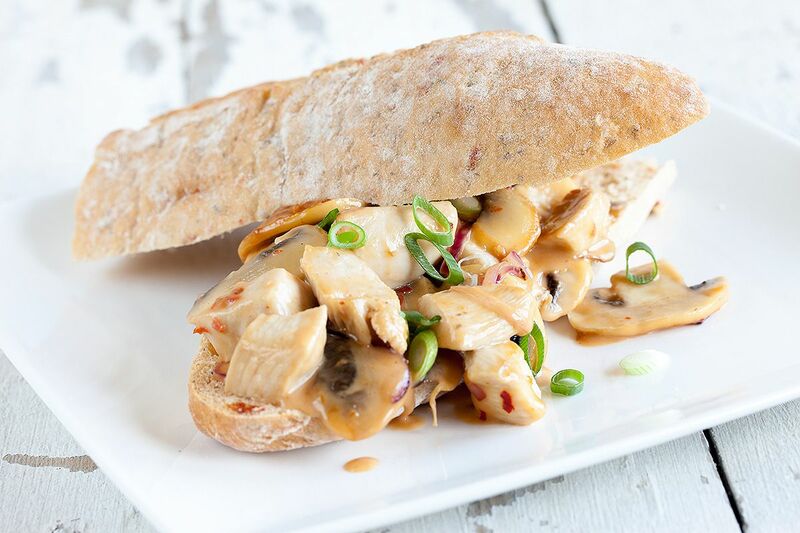 CUT the mushrooms in slices and also finely cut the garlic clove. 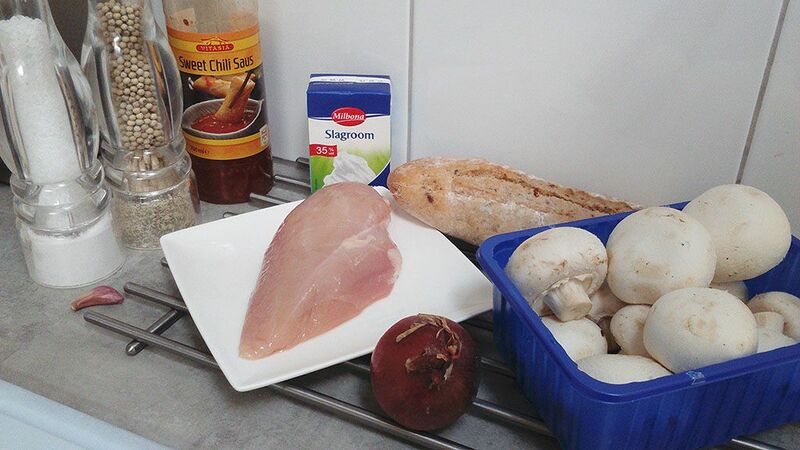 REMOVE any muscle and fat from the chicken fillet and cut the fillet into cubes. If you have some spring onions, cut it into thin rings for garnish later on. HEAT some butter in a skillet and add the chicken cubes. After about 4 minutes add in the red onion rings and mushroom slices. TOSS it all together until evenly browned, that will take about another 5 minutes on medium high heat. ADD the finely cut garlic and after again one minute, add the cream and sweet chili sauce. HEAT it all together until the sauce has reached the desired thickness. Taste, and sason with pepper and salt. Open up the sandwiches with a bread knife of your choice and divide the filling. Finish it off with spring onion rings for garnish. Enjoy your meal!